Presiding Justice Gerald J. Whalen is pleased to announce that on October 25, 2018, the Appellate Division, Fourth Department will hear oral arguments in a regular session of Court at the Robert H. Jackson Center in Jamestown, New York. The Robert H. Jackson Center is a 501(c) (3) nonprofit organization dedicated to promoting liberty under law through the examination of the life and work of Supreme Court Justice Robert H. Jackson and its relevance to current events and issues. The center invites and engages scholars, educators, national officials and international dignitaries to analyze contemporary issues of peace and justice through the relevance of Justice Jackson's body of work. 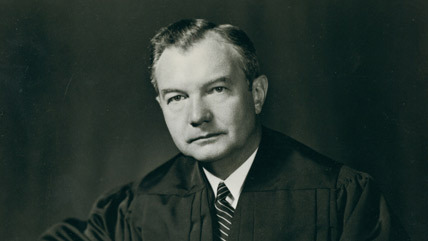 Justice Jackson, who was also Chief U.S. Prosecutor at Nuremberg, was raised in Frewsburg, New York and spent 20 years practicing law in Jamestown. Oral arguments at the Jackson Center (305 East Fourth Street in Jamestown) will begin at 10:00 A.M., and will be followed by a continuing legal education program featuring Fourth Department Justices and staff members from 1:00 P.M. to 3:00 P.M. Additional details about the CLE program will be made available at a later date on both the Fourth Department's website ad4.nycourts.gov and the Jackson Center's website www.roberthjackson.org. The Fourth Department, which covers 22 counties in Central and Western New York, is honored by the Jackson Center's hospitality and the opportunity to hear oral arguments in Chautauqua County. Follow the Court on Twitter @NYAPPDIV4 for timely alerts on decisions, arguments and other news.